Does anyone have an idea of how to disable this popup screen? In your screenshot I see a Duplicati instance listening on poort 8300, so probably every users gets his own Duplicati instance (Default listening port is 8200). 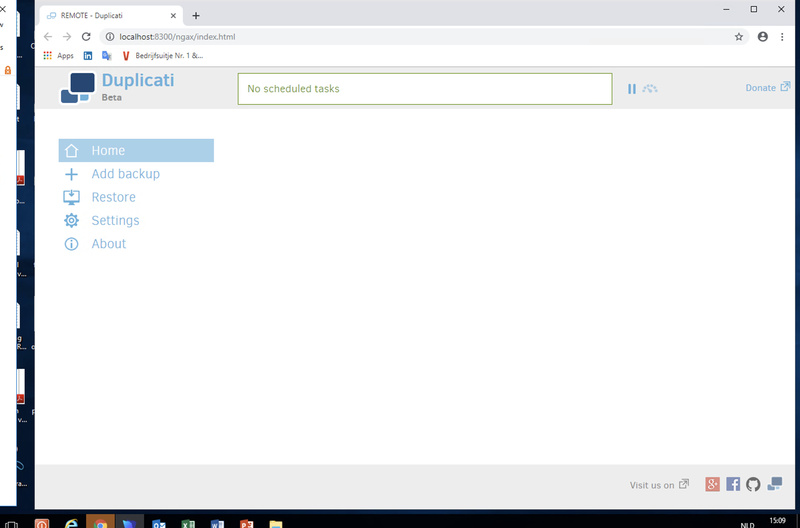 My guess is that there is a shortcut to Duplicati.GUI.TrayIcon.exe in %PROGRAMDATA%\Microsoft\Windows\Start Menu\Programs\StartUp (the common Startup folder in the Start Menu). Remove the shortcut from this location and install Duplicati as a Windows Service. Hi @arnoudvanderschans, welcome to the forum! A few other users have reported this happening to them (not just in servers) but I’ve been unable to replicate it. I don’t believe running the tray icon executable is supposed to open a browser window but as @kees-z mentioned, that might be what’s going on. How is your tray icon set up - is it in every user’s individual Startup or just in the “Default User” (so applied to all users)? It occurs when Duplicati is installed with the start-up option enabled on a Windows Remote Desktop Services server. Each user profile configured on the server will start their own process of Duplicati. 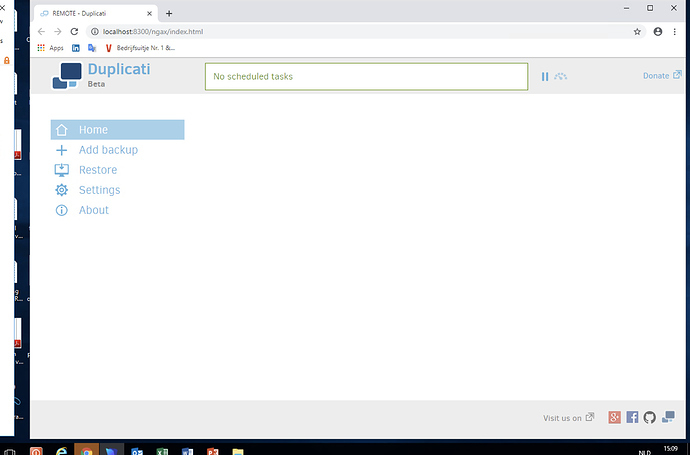 Best approach is to disable the start-up option at log-on and configure Duplicati either to run from a admin account (requires the admin account to be logged on all the time) or to run as a service.